On September 15, 1944, U.S. Marines fighting in World War II (1939-45) landed on Peleliu, one of the Palau Islands of the western Pacific. 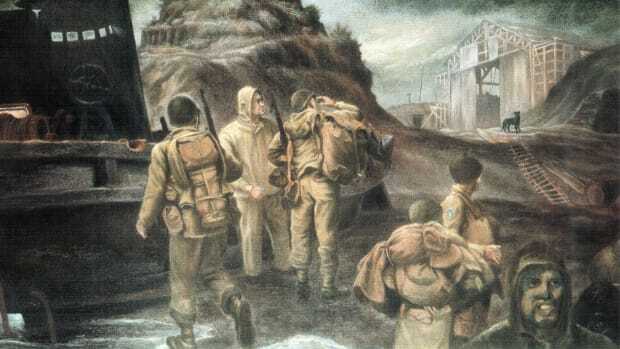 Over the next several weeks, ferocious Japanese resistance inflicted heavy casualties on U.S. troops before the Americans were finally able to secure the island. 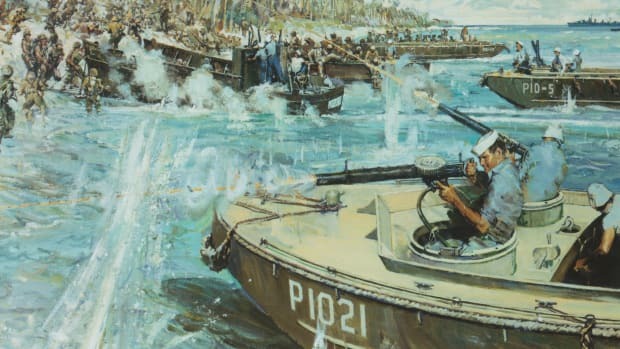 Though the controversial attack on Peleliu resulted in a higher death toll than any other amphibious assault in U.S. military history, Allied commanders and troops learned important lessons that would benefit them during the invasion of the Philippines and the Japanese home islands. By the end of February 1944, Allied forces had gained control of the Marshall Islands in the western Pacific Ocean and moved on to the Marianas, where 20,000 U.S. troops–by far the largest force used in a Pacific operation thus far–put ashore on Saipan on June 15. 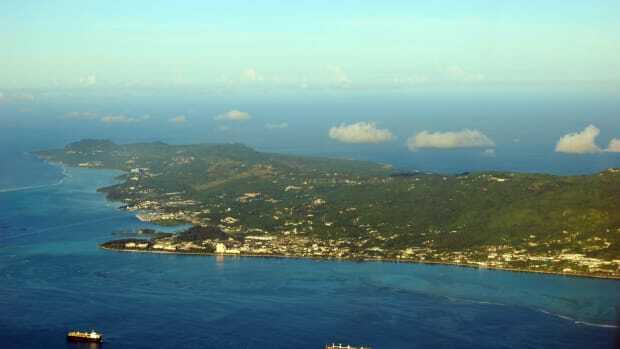 After fierce resistance by the Japanese, Saipan was declared secure on July 9; the neighboring islands of Tinian and Guam were under American control by late August. 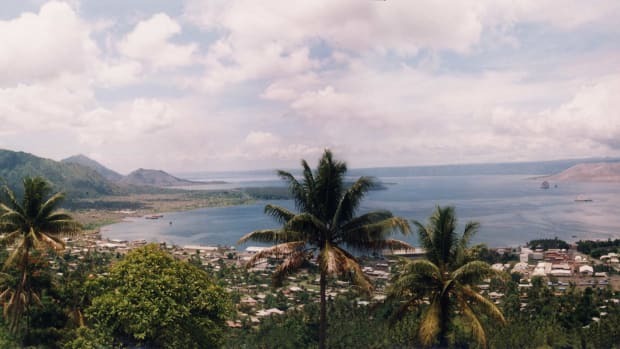 The next objective for Admiral Chester Nimitz’s Pacific Fleet was the Palau Islands in the western Carolines, 500 miles east of the Philippines. Did you know? 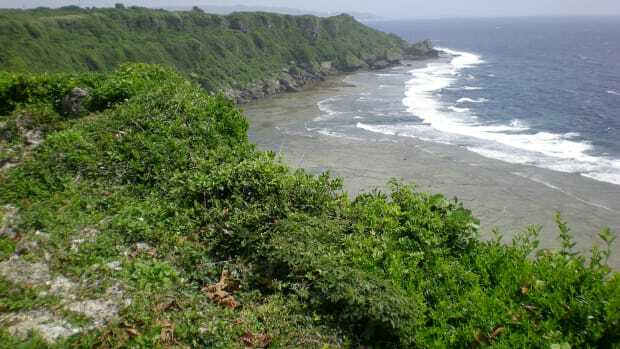 Peleliu&apos;s network of rocky caves, which the Japanese connected with tunnels, effectively acted as a fortress. The Japanese used Peleliu&apos;s unique terrain to their advantage, stationing troops in caves just above invading U.S. forces so as to inflict the maximum amount of damage on the troops below. Peleliu–a volcanic island just six miles long and two miles wide–was held by a garrison of more than 10,000 Japanese troops. 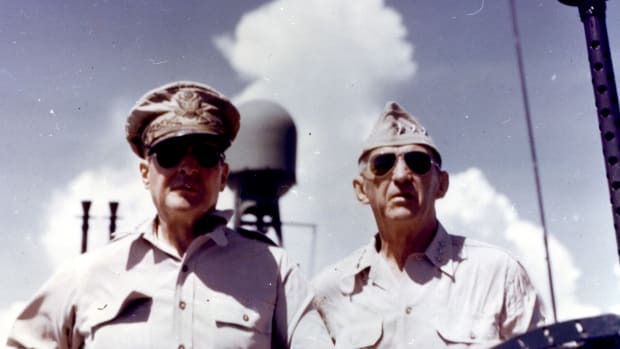 The island’s airfield would allow Japanese planes to threaten any Allied operation in the Philippines, and General Douglas MacArthur pushed for an amphibious attack in order to neutralize this threat. Admiral William Halsey reported that enemy resistance in the region was far less than expected; he recommended that the landings in the Palaus be canceled entirely and MacArthur’s invasion of Leyte Gulf (in the Philippines) be moved up to October. MacArthur and Admiral Chester Nimitz followed Halsey’s advice about Leyte, but chose to go ahead with the attack on Peleliu. On the morning of September 15, the 1st Marine Division landed on the southwest corner of Peleliu. 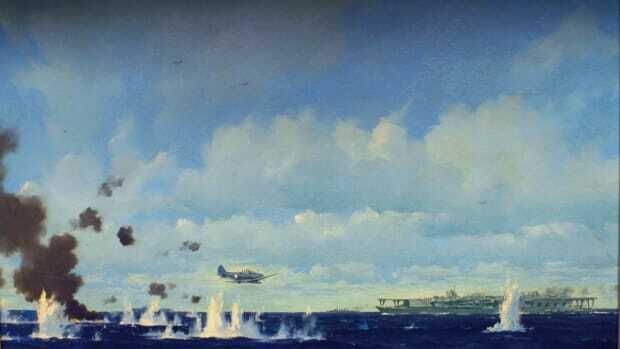 U.S. forces had refined their amphibious strategy over a year of hard fighting, and by this time had it down to a science: Massive naval bombardment of land-based targets preceded troop landings, which were supported by strafing and bombing runs by carrier-based aircraft. The troops arrived on shore in waves, gathering on an island’s beaches until they had sufficient numbers to push inland. These methods had worked in earlier landings and were expected to work again on Peleliu. The Japanese had learned from past attacks, however, and they took a new strategy, aimed at bogging the enemy invaders down for days and inflicting massive casualties in hopes of pushing the Allies into a negotiated peace. Peleliu’s many caves, connected by networks of tunnels, allowed the Japanese to hunker down and emerge mostly unscathed from the Allied bombardment. 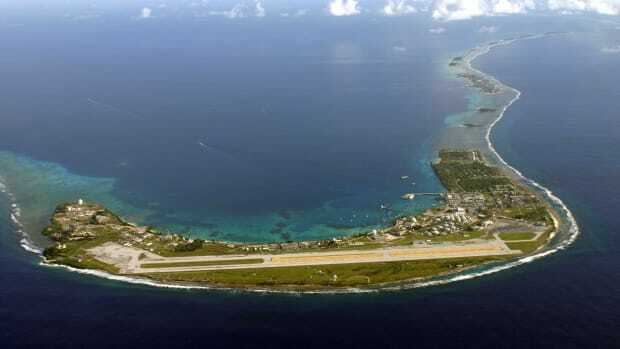 They held out for four days before U.S. forces were even able to secure the southwest area of Peleliu, including a key airstrip. When the Marines turned north to begin their advance, they were targeted along the way by heavy artillery fire and a fusillade of small arms from Japanese forces installed in caves dug into the rocky surface of Umurbrogol Mountain, which the Marines dubbed “Bloody Nose Ridge.” Over the next eight days, U.S. troops sustained about 50 percent casualties in some of the most vicious and costly fighting of the Pacific campaign. 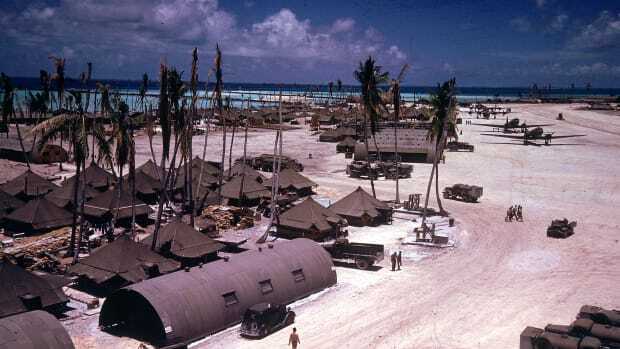 Meanwhile, the U.S. Army’s 81st Infantry Division had secured Angaur and Ulithi, also in the Palaus, relatively quickly. Members of the 321st Regiment (and later the 323rd) were sent to aid the 1st Marine Division, arriving in time to make a renewed attack on Bloody Nose Ridge from the west on September 24. While the combined Army and Marine forces were able to envelop Japanese positions on the mountain, the Japanese still held out, and would only be dislodged after much bloodshed throughout October. More U.S. reinforcements arrived, and the ridge was finally neutralized on November 25. Characteristically, the Japanese defenders refused to surrender, and virtually all of them were killed. The Battle of Peleliu resulted in the highest casualty rate of any amphibious assault in American military history: Of the approximately 28,000 Marines and infantry troops involved, a full 40 percent of the Marines and soldiers that fought for the island died or were wounded, for a total of some 9,800 men (1,800 killed in action and 8,000 wounded). 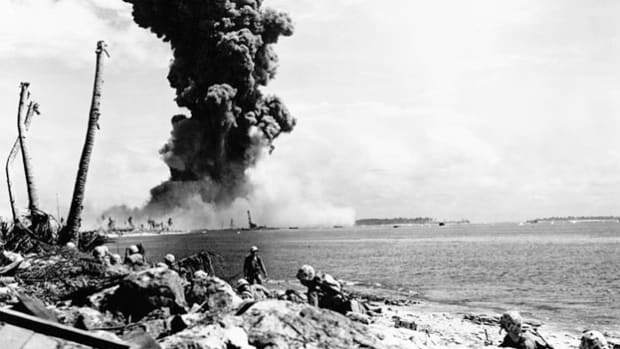 The high cost of the battle was later attributed to several factors, including typical Allied overconfidence in the efficacy of the pre-landing naval bombardment, a poor understanding of Peleliu’s unique terrain, and overconfidence on the part of Marine commanders, who refused to admit their need for support earlier on at Bloody Nose Ridge. On the other hand, the capture of Peleliu served as a means to MacArthur’s much-desired end: the recapture of the Philippines, and the drive towards Japan’s home islands. The lessons learned at Peleliu also gave U.S. commanders and forces insight into the new Japanese strategy of attrition, which they would use to their advantage in later struggles at Iwo Jima and Okinawa.